Time is in short supply when you are a traveling CNA but your days are full of tasks that must be completed. When you start your day, you may feel overwhelmed with the amount of tasks that need to be done. But don’t worry! Take a deep breath, grab a cup of coffee or tea and let’s get your day started with these handy tips! Before you begin each shift, take a few minutes to form a plan for your day. Prioritize your tasks not only based on importance but also upon other activities. For example, if you have two patients to visit on the same end of town, schedule them back-to-back so you aren’t driving across town multiple times in one day. Know when to delegate tasks. It is a big mistake to assume you can handle every task without asking for help. Not only will it reduce stress on you, making your patient visits more pleasant, but it also means that tasks are completed more efficiently. Proper delegation among all team members can dramatically improve your overall functionality. If you become distracted not only can it use up valuable time in your day, but it can also put the health and safety of a patient in jeopardy. Keep things that you know will distract you at bay, such as turning your personal cell phone to silent or off. It can be easy to forget small things that come up when your day is so busy. To help you remember, keep a small notebook with you to write those things down, such as remembering to speak with another member of your team about changes they may have seen in a certain patient. This will allow you to check things off your list as you go about your day. As a traveling CNA, it is important to double check that you have the needed supplies for the day before heading out. Keep extra supplies in your car stocked and organized well so that you can stock up supplies in your patients’ homes as needed. Keep your basic work kit in a pouch and include spare pens, a watch and any other crucial supplies you will need during the day. Also, be sure to carry an extra pair of gloves in your pocket. You never know when you might need an extra pair! While this may not seem like an obvious time management tip, it is perhaps the most important one. Remember to sip on water throughout the day to keep from getting dehydrated. Also take time to eat a meal and have snacks. Get a good night’s sleep and get in some weekly exercise. When you are not feeling your best, you are sluggish and your cognitive function is much slower. In order to take care of others, you must first take care of yourself! 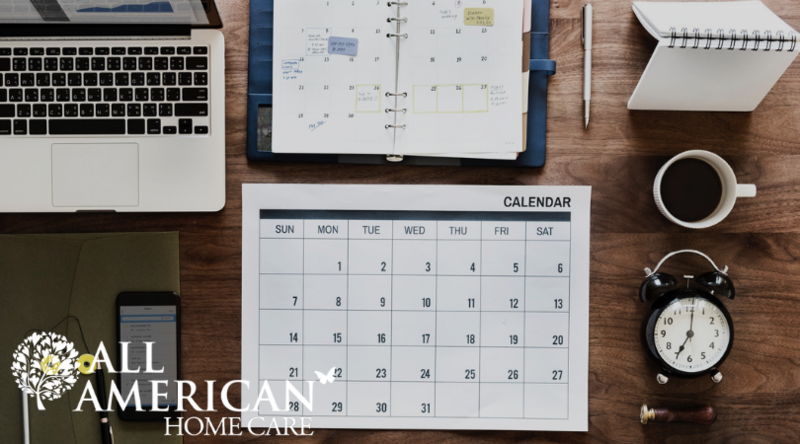 From planning out and prioritizing your day, to delegating tasks and prioritizing your own health, you will be able to accomplish a full day of tasks without feeling too overwhelmed. Not only will it help you be more efficient in your day, but you will also be able to provide better and timelier care for your patients who depend on you each and every day.